On Friday, in his year-end press conference, President Barack Obama said it was “frustrating” that he failed to accomplish his biggest goal this year–the passage of comprehensive immigration reform. A recent Gallup poll found that only three percent of the country ranked immigration reform as the most important issue facing the country. He also said that House Speaker John Boehner (R-OH), who said amnesty was “absolutely not” dead this Congress, had a “commitment” to enact comprehensive immigration reform. Boehner reportedly told House Minority Leader Nancy Pelosi (D-CA) to wait until next year for amnesty. Obama said there were “indications in the House” that legislation could be moved forward next year. Obama noted that the Senate passed comprehensive immigration reform, which the Congressional Budget Office determined would lower the wages of working class Americans. Obama said he was focused on improving the country’s economy during the press conference, yet his biggest desire was to ram through a bill that would lower the wages of working Americans. “It’s not something I end up brooding a lot about,” Obama said of his failure to accomplish his biggest goal largely due to the intense pressure from conservatives, Tea Partiers, and working class Americans. Amnesty supporters cheered the recent budget agreement, which raised taxes, because it would potentially clear the legislative calendar for amnesty. Pelosi said if amnesty passes, it will before June. Sen. John McCain (R-AZ), who authored the senate bill with those like Sens. Marco Rubio (R-FL) and Lindsey Graham (R-SC), said amnesty supporters would make a final attempt to pass the bill in the spring after the Republican primaries. Rep. Luis Gutierrez (D-IL) said if amnesty does not pass next year, it will not get taken up again in the next Congress. 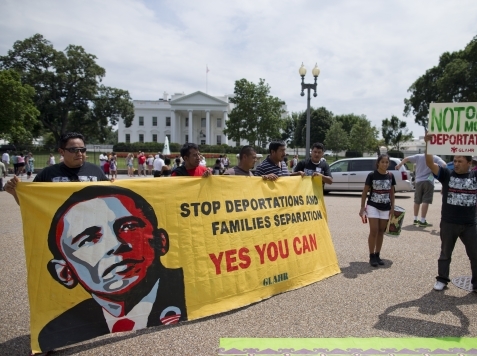 House leaders have indicated they will be open to passing piecemeal legislation on immigration. Obama and Democrats have said they were okay with immigration reform being broken up into pieces so long as all the pieces pass.